We are the student association of the bachelor programme Minorities & Multilingualism at the University of Groningen. Our association was founded in 2014 and in its 4-year existence, we have already managed to create a true M&M student community, with its own traditions. Our main activities are Coffee & Cookies, the Christmas dinner and interesting guest lectures, but of course we also like to organise parties and drinks! One of the highlights of the year is the annual trip abroad. 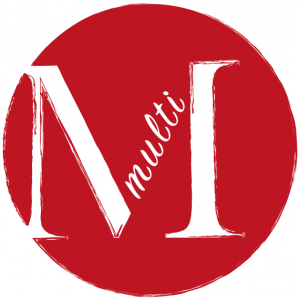 This year is extra special, because Multi and our programme will have its five year anniversary; our first Lustrum! Multi was founded in 2014 to contribute to the student experience of M&M with a study association. We try to grow along with the programme and create opportunities for Dutch, international and exchange students to be active and get to know each other outside of the programme. Even though M&M is not a big programme, it is still important to have a student association to bring students of all years in touch with each other by organising fun events, some of which are relevant to our programme. We play a supporting role in creating a well-rounded and fun student- and study environment by offering students an informal environment combining all years. We stand up for small studies like M&M and we want to show that these studies are important and can also create a change within the university. There is always room for improvement within both the association as well as the programme, so the students are always welcome to make contributions and share their ideas, which we are very grateful for! The coming years we will continue to help welcome new students so that they feel at home in the programme. During the year we host events for M&M students, international students, but also for the lecturers who will definitely be a part of these events as well. Furthermore, we host events such as pub quizzes, afternoon drinks, guest lectures, parties, or sharing a nice dinner together. As M&M grows, Multi grows. This means that members get more and more opportunities to become active within the study association. An example of this is the Event Committee which plays a vital role in organizing the trip abroad mentioned earlier. Committees are a great way to create a more extensive network internally which is really important within a small association such as Multi. Multi plays a role in guiding prospective students and giving them all the information they need, as well as playing a role in the mentorship of the first year-students. By sharing our personal experience and connecting prospective students with M&M students, we hope to minimize the distance between high school and university and hope to welcome as many new M&M students as possible! Hi, my name is Fardau and I am very excited to be representing our wonderful association as the chairwoman for the academic year 2018/2019. Together with Jente and Welmoed, we’ll host many new events, broaden our association in the fields of external and internal affairs and of course organize our very first lustrum! Within the programme, I am mostly interested in multilingualism, the political and cultural side of minorities and I have a particular interest in my own roots as a Frisian. Besides my responsibilities as a board member, I will also be a student mentor together with Jente and I will be working as a residence assistant at SSH. Hi! I’m Jente and for this academic year I will be the secretary for Multi. I’m very excited to be a board member together with Fardau en Welmoed. This year is extra special because it mark the 5 year anniversary of our programme and Multi! We will try our hardest to make our first lustrum unforgettable. My interests are in the political, historical and anthropological parts of our programme. Next to Multi, I will also be a student mentor together with Fardau. I am also a member of the Honours College, will participate in the 10th JNSC (Japan Netherlands Student Conference), and will continue working as a pasta chef at Vapiano! Hi! As Multi’s treasurer for this academic year I am going to organize events and enhance our study association together with Fardau and Jente. I am looking forward to meeting many new people and broadening my own horizon, as well as Multi’s. In addition to my function as treasurer of this lovely study association, I work at GAMMA as a saleswoman and I am an active member of the Frisian student association F.F.J. Bernlef, for I am Frisian myself. It is very cool to study minorities while coming from a linguistic minority myself. I am looking forward to a great year with Fardau and Jente and everyone else in our association!